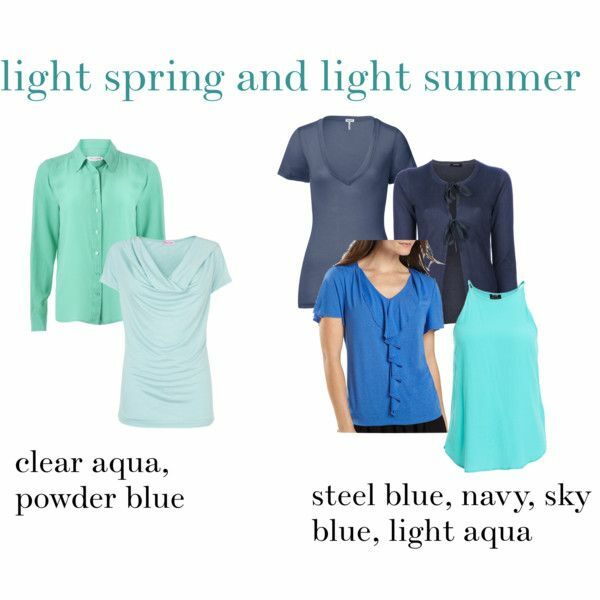 See also: Light Spring vs. Light Summer: how do you know which you are? 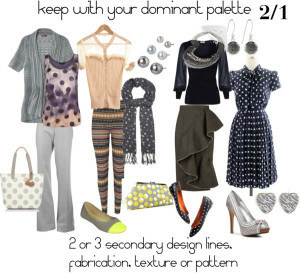 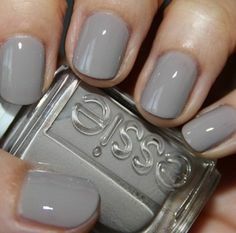 Light Spring wears blue charcoal, warm light gray, taupe, camel and cream. 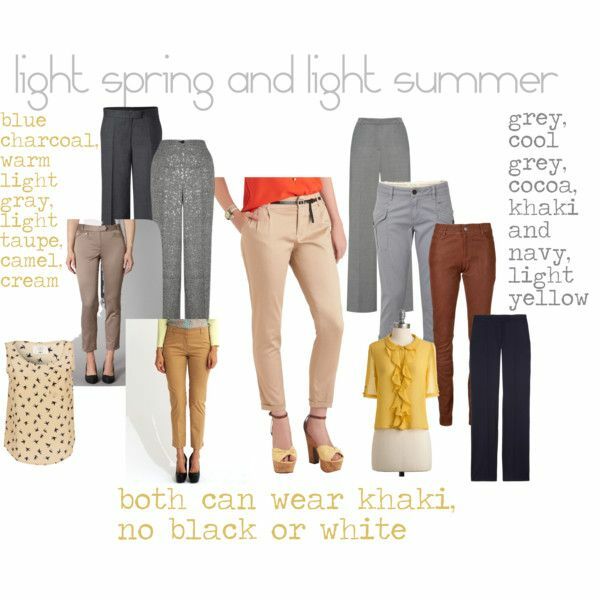 Light Summer wears cool gray, cocoa, khaki and navy. 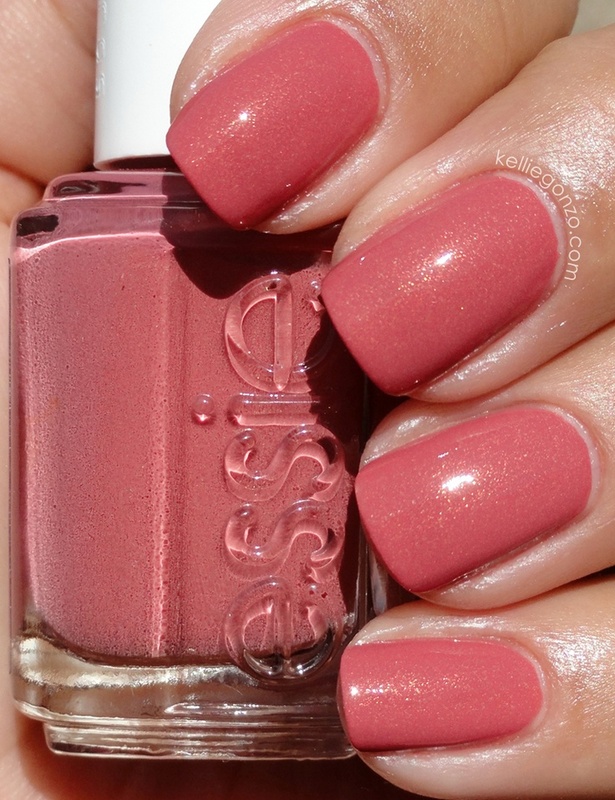 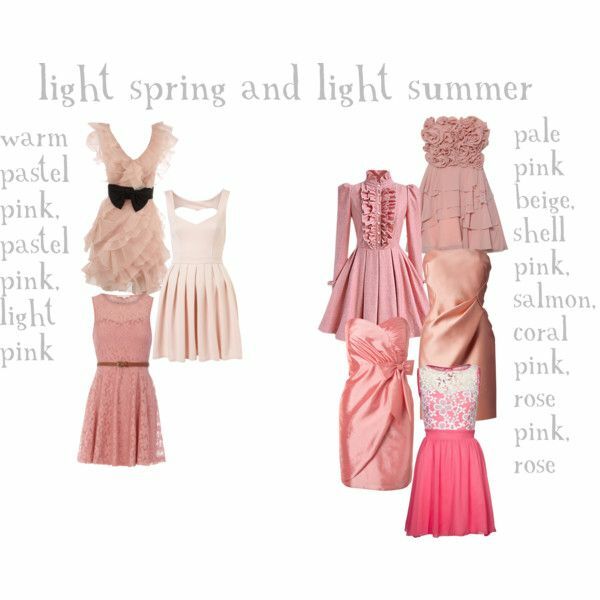 Light Springs wears warm pastel pinks. 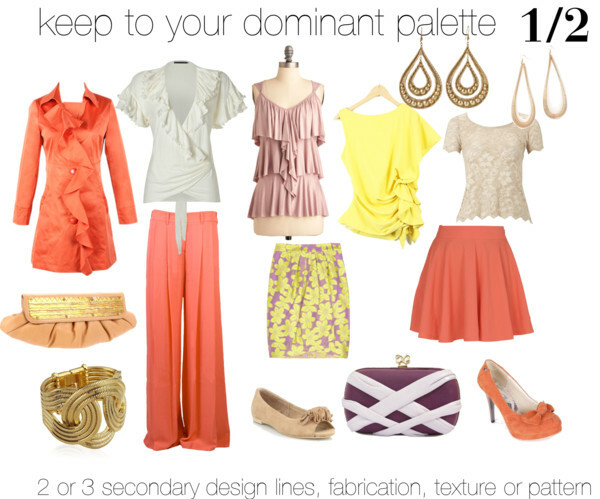 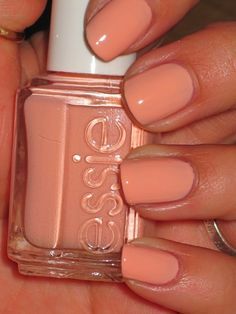 Light Summers wears pale pink beige, salmon, coral pinks, rose. 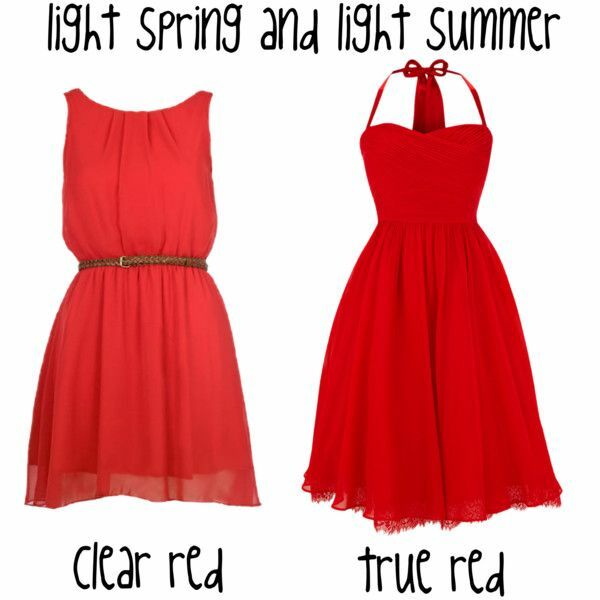 Light Spring wears a clear red or tomato red. 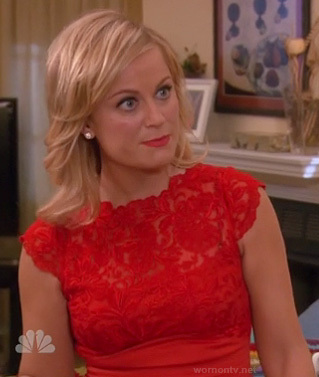 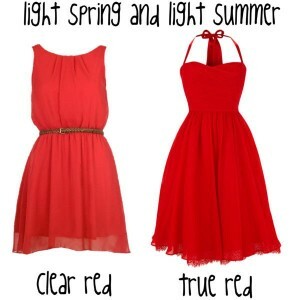 Light Summer wears a true red. 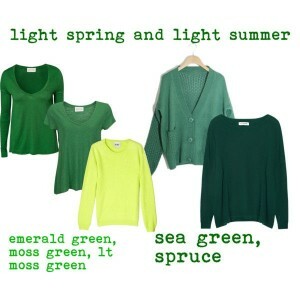 Light Spring wears greens with more yellow in them. Light Summer wears greens leaning more blue. 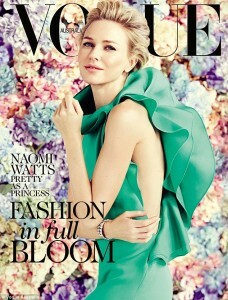 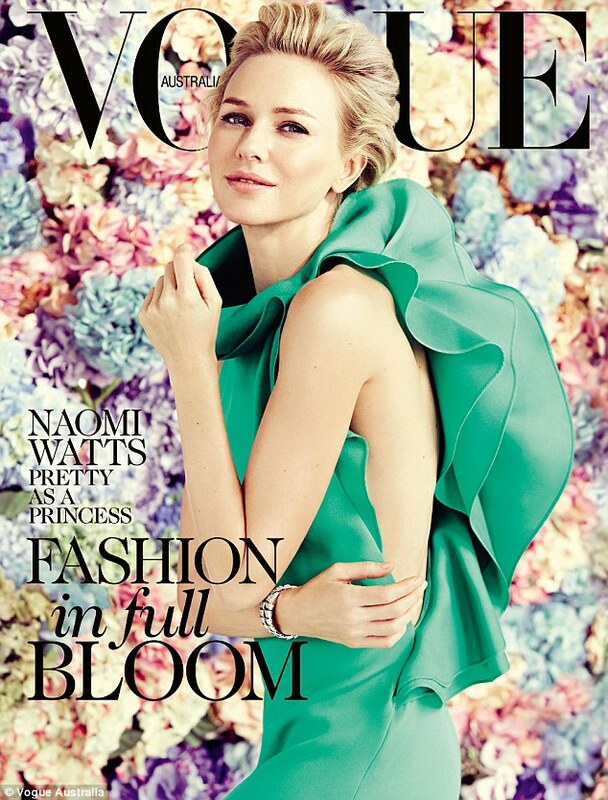 Light Spring wears clear aqua and powder blue. 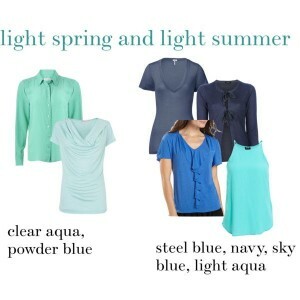 Light summer wears steel blue, navy, sky blue and light aqua. Light Spring wears bluer, darker purples. 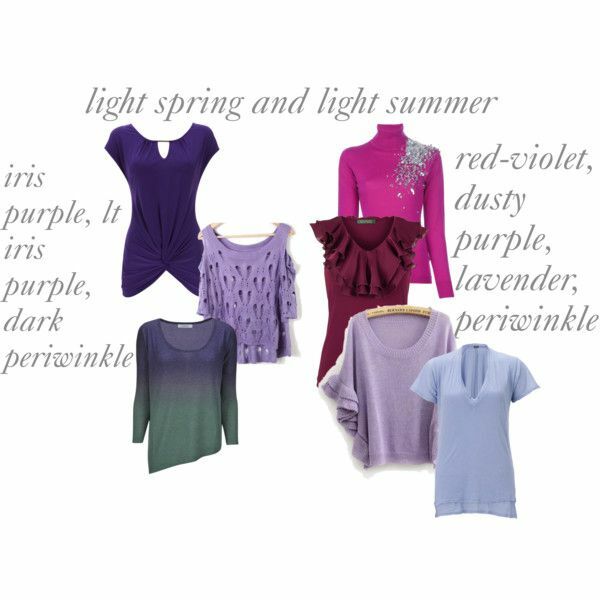 Light Summer wears red-violets, lavenders and purples.